Jonathan Hafetz, a professor of law at Seton Hall University School of Law, admirably shows the tension between the need for establishing individual accountability for suspects and accused alleged to have committed or contributed to mass atrocities and the need to accord them fair trials based on recognized international principles and standards. Reconciling these two aims has been an ongoing process since the creation of the post-World War II International Military Tribunals at Nuremberg and for the Far East in Tokyo. While the divide remains, much progress has been made in affording greater due process to suspects and accused, in part, because of a higher recognition that acceptance of judicial results at the international(ized) criminal tribunals and courts is enhanced and fostered through fair trials and ensuing perceptions. Meanwhile, the experimentation of cobbling together procedural modalities from different legal systems for fairer procedural justice continues. Over the past two decades, much has been written about fair trial rights, the blending of common and civil law systems in designing boutique criminal procedures for international(ized) criminal tribunals or courts, modes of liability and the substantive crimes, ICL jurisprudence, commentaries on the various statutes and rules of these judicial institutions, and so on. Texts have also been written covering the various aspects and challenges of defending suspects and accused. Yet, to my knowledge, Professor Hafetz’s Punishing Atrocities is the first text that cogently examines the panoply of complexities in providing fair trials at the international(ized) criminal tribunals and courts with sensitivity and emphasis on the fair trial rights of suspects and accused. Besides deeply immersing himself into primary and secondary sources, Professor Hafetz reached out to practitioners (full disclosure, I was one of them), bridging the gap between the theoretical and the practical. The dividends are evident. Teasing out the obvious and not-so-obvious problems that have surfaced at the various international(ized) criminal tribunals and courts, Professor Hafetz offers the reader perceptive analyzes and logical suggestions. Viewing fair trials through the lens of internationally recognized rights such as those found in the International Covenant on Civil and Political Rights (ICCPR), Professor Hafetz focuses on how procedures, inventive and creative interpretations of modes of liabilities, adopted modalities for efficient and easier admission of evidence, and so on, have affected the fair trial rights of suspects and accused, and have compromised what should be the ultimate goal of any criminal court – providing fair trials. Even with the best intentions, there will always be tension and controversy on how to achieve the various goals for establishing international(ized) criminal tribunals and courts, and ensuring – beyond a mere fig leaf – the rights of suspects and accused. Perceptions of unfairness have haunted the Nuremberg and Tokyo tribunals – perceptions that still persist in various degrees within all international(ized) criminal tribunals and courts that have followed. The issue of perceptions is one of the golden threads that Professor Hafetz weaves throughout Punishing Atrocities. Rightly so. Virtually every aspect of conducting (fair) trials, every procedural modality or decision, when transparent and subject to public scrutiny bears an optics cost. And since the idea behind establishing courts to prosecute mass atrocities is to re-enforce societal norms, to reach reliable factual findings and well-reasoned legal conclusions that are accepted by those affected, and to inform the public so that the process of reconciliation can take root, managing public perceptions (an appearance of achieving justice for all parties concerned) cannot be overstressed. Punishing Atrocities is organized into six chapters, written in simple, coherent, non-legalese language. Terms of art are appreciatively explained on the spot, eliminating the need for those not familiar with them to run for the dictionary or google. When discussing legal concepts, such as joint criminal enterprise (JCE) or command responsibility, Professor Hafetz does so in a user-friendly language that conveys and informs. Thoroughly and densely sourced (although I would prefer footnotes to endnotes, so I can review the sources as I read along without having to spend time searching for them), Punishing Atrocities is a handy resource; practitioners and those venturing into ICL will find it exceptionally profitable. In Chapter 1 the reader is treated to an outstanding overview of the post-World War II tribunals that created and shaped the template for future international(ized) criminal tribunals and courts. Professor Hafetz details how the accused and their defense teams at the Nuremberg and Tokyo trials were handicapped, and how by current standards the procedures adopted were manifestly unfair. I was particularly pleased that Professor Hafetz discussed Prosecutor Justice Robert H. Jackson’s unethical behavior in trying to game the process (despite his soaring rhetoric on fairness to the accused) through ex parte communications on substantive matters with judges he assumed were pliable. This chapter is excellent as an introduction to ICL from the procedural aspect. Since most courses on ICL pay little attention to the process of achieving fair trials by meaningfully affording a suspect or an accused his or her fair trial rights (not only the mere listing of them), this chapter serves as an exquisite primer. It is also an apt point of departure for the chapters that follow. Chapters 2 and 3 deal with the ad hoc tribunals and the ICC. The reader is treated to the various procedural and systemic challenges that have tended to compromise a suspect’s or an accused’s fair trial rights, and more importantly, a fair finding of individual accountability. I was slightly underwhelmed by Professor Hafetz’s analysis of JCE, co-perpetration, command responsibility and aiding and abetting, although considering his aim to flag potential weaknesses in these modes of liability as opposed to go into the weeds (which his cited material comprehensively does), this is understandable. Nicely presented are many of the significant shortcomings defense lawyers complain about, such as the lack of the equality of arms, the prosecution’s access to valuable material some of which may be exculpatory but not subject to disclosure to the defense, the ad hoc trial chambers’ amenability (and reflexivity) to adopting adjudicated facts from other cases as presumptively proved facts (thus shifting the burden of proof to the defense), modalities that allow the admission of untested evidence with little or no opportunity to test the reliability of the substance, and so on. While nothing new is presented to those familiar with the proceedings in these courts (especially defense counsel whose clients are most affected), Professor Hafetz illuminates by providing an impressive tour d’horizon – cogently marshalling, discussing, and comparing the shortcomings that exist at the ad hoc tribunals and the ICC and that have hindered the delivery of fair trials. That said, I found wanting his oversight in critically analyzing the Extraordinary Chambers in the Courts of Cambodia (ECCC), which is unique compared to other international(ized) criminal tribunals and courts in that its procedure, although hybrid, is based on the civil law system inspired by the French model with Co-Investigating Judges (one National and one International). Setting aside criticisms of corruption and political interference that has hounded the ECCC, it merits examining what, if any, obstacles to due process and fair trials have surfaced in this procedural system, and whether it is worth adopting a similar procedure for future ad hoc tribunals. It also fits into the discussion that follows in Chapter 4. Professor Hafetz also missed an opportunity to comment on Article 64 of the Rome Statute and Rule 140 of the Rules of Procedure and Evidence, which, effectively, permit disparate procedures serendipitously based on the predilections of a particular Trial Chamber or Presiding Judge, and – at least perception-wise – risk disparate (due process) treatment to accused prosecuted at the ICC.1 On this topic, see my article The Serendipitous Nature of the ICC Trial Proceedings Risks the ICC’s Credibility in Justice Without Borders: Essays in Honour of Wolfgang Schomburg 202-47 (Martin Böse, Michael Bohlander, André Klip, and Otto Lagodny eds., 2018). His take on this ICC procedural feature would be interesting to know. Some maintain that Article 64 lends flexibility to the proceedings, making the ICC more procedurally inclusive and thus more international. I happen to think otherwise; not just because of the unintended perceptions that disparate proceedings are likely to result, but also because – as in national courts – courts must provide uniform, consistent, and predictable procedures. This feeds into the concept of legitimacy, a topic that comes up in Chapter 5. The point being made in this chapter is simple: with so many different procedures at play and with a wide disparity in how fair trial rights are viewed and afforded at international(ized) and domestic courts, if perceptions are important (as they assuredly are), then addressing these disparities or fragmentations, as Professor Hafetz puts it, needs to be included into the broader dialogue of fair trials where ICL features prominently. Naturally, universal uniformity is neither achievable nor desirable. Nonetheless the goal should be for all courts that apply ICL, irrespective of procedure or pedigree, to adhere to the overarching principles that afford all suspects and accused their fair trial rights. Chapter 5 deals with the challenges in selecting whom to prosecute and for what crimes. I found this chapter particularly informative and interesting. Even experienced practitioners will find it exceptionally edifying. Professor Hafetz offers perceptive suggestions in dealing with some of the selectivity challenges. Suffice it to say, and at the risk of being presumptuous, the ICC Prosecutor and her staff would be well-served were they to consult this chapter, as would representatives of the Assembly of States Parties which hold the purse strings of the ICC, and no doubt play a role (albeit indirectly) in shaping the policies of the various organs of the ICC. Chapter 6 addresses accountability and fairness in dealing with terrorism as an ICL. Another compelling and thought-provoking chapter. 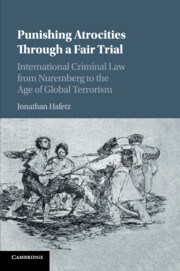 Poignantly, Professor Hafetz begins by noting that “[t]he principle obstacle to a more comprehensive legal framework for addressing terrorism remains the lack of a universally accepted definition of the term.” (p. 169) He nicely discusses prosecuting acts of terror at the ICTY in Galić (the sole case) and at the Special Tribunal for Lebanon, the efforts made by the UN Security Council to address terrorism through “quasi-legislative activity,” and approaches taken in domestic jurisdictions, such as in the US. Punishing Atrocities is a useful, practical, rewarding read that informs as much as it provokes. 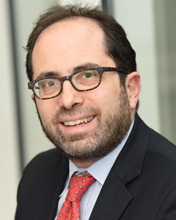 Professor Hafetz examines many of the systemic and procedural weaknesses at the various international(ized) criminal tribunals and courts that have diminished, or risk diminishing, the rights of suspects and accused. He does so with appreciation of the constraints on these judicial institutions, such as the need for accountability, efficiency in the proceedings, victims’ rights to justice, logistical and financial constraints imposed on the prosecution, and other ancillary goals of these tribunals and courts, such as fostering peace, reconciliation, and respect of the rule of law in the region, providing authoritative historical record of crimes, and giving victims a forum to tell their stories etc. Professor Hafetz’s critical assessments and progressive suggestions make Punishing Atrocities a rewarding read. 1. ↑ On this topic, see my article The Serendipitous Nature of the ICC Trial Proceedings Risks the ICC’s Credibility in Justice Without Borders: Essays in Honour of Wolfgang Schomburg 202-47 (Martin Böse, Michael Bohlander, André Klip, and Otto Lagodny eds., 2018). Previous Previous post: Daw Aung San Suu Kyi’s remarks in context: is she defending the convictions and imprisonment of the journalists?